Today is my birthday! The big 2-7. But here is a little throwback to my fifth birthday. 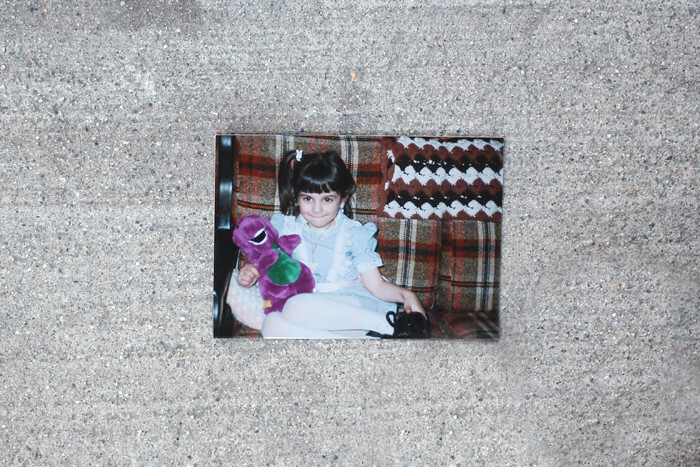 That Barney went with me everywhere, by the way. Even school. My teacher would let him sit with me at my seat. And at my party, we played pin the tail on the Barney. True story. Anyway - luckily, I am still at home with family for my birthday! Boo and I spent a night in Niagara falls, just the two of us, and had tons of fun. And tonight, my mom is making my choice for dinner. I chose tacos. I always choose tacos. Always.